Thanks for all the kind words, fellas. Appreciate it. 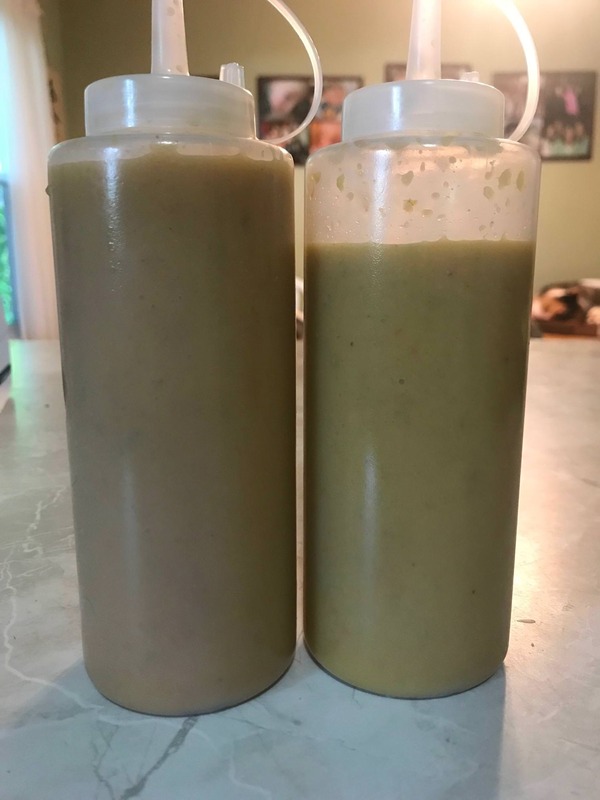 Spent the afternoon making some homemade hot sauce. Pics later. Damn tasty. Rocker wrote: Thanks for all the kind words, fellas. Appreciate it. 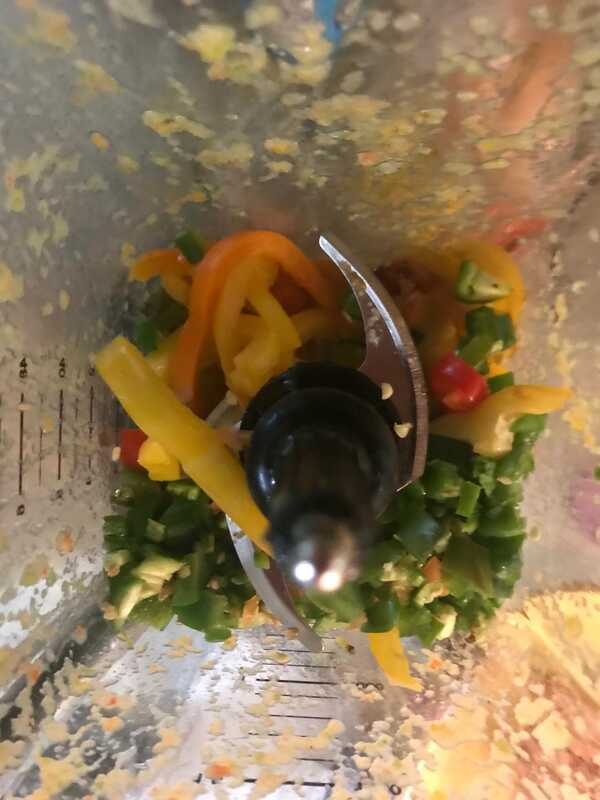 What kind of peppers? I made some once using these little red things I randomly grew in the back yard. I didn't know what they were at the time, and still don't. HO....LEE.... SHIIIIIII.........T. I had to pretty much leave the house while simmering that stuff down. 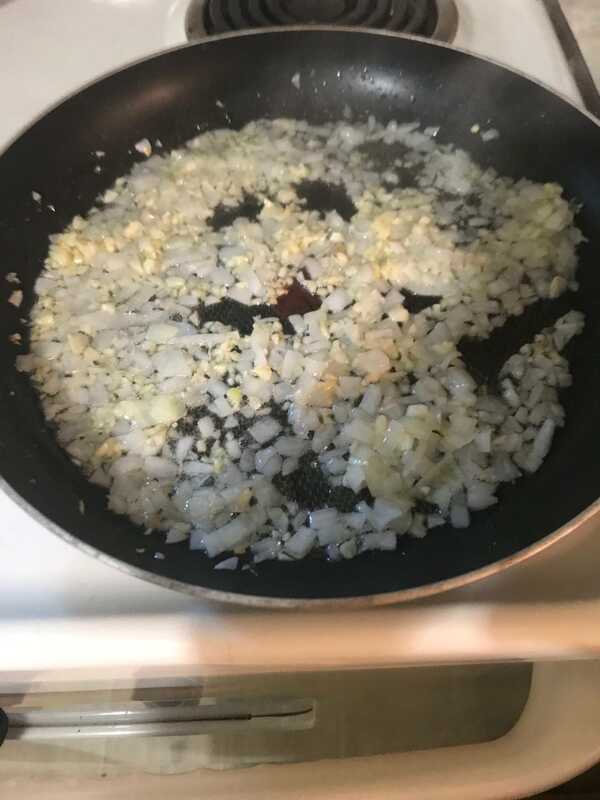 Sweating down the garlic and onion. 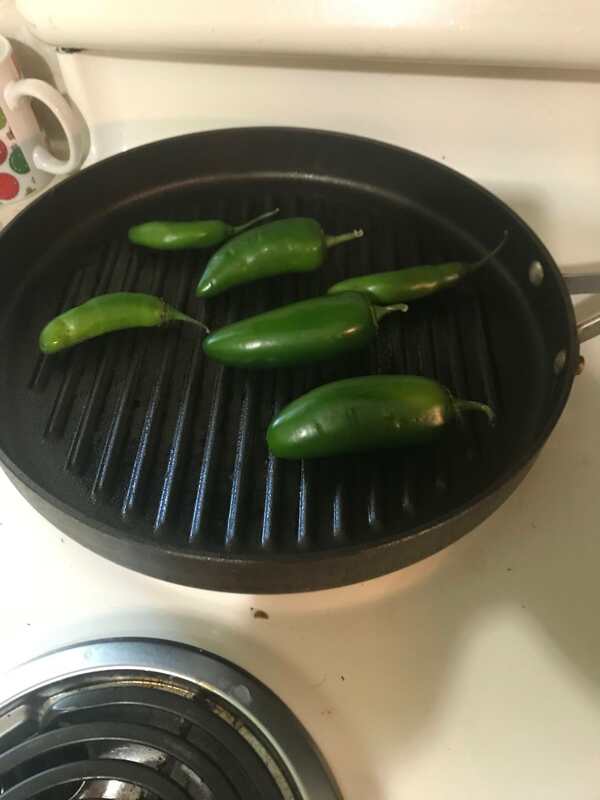 Charring the jalapenos and serranos. 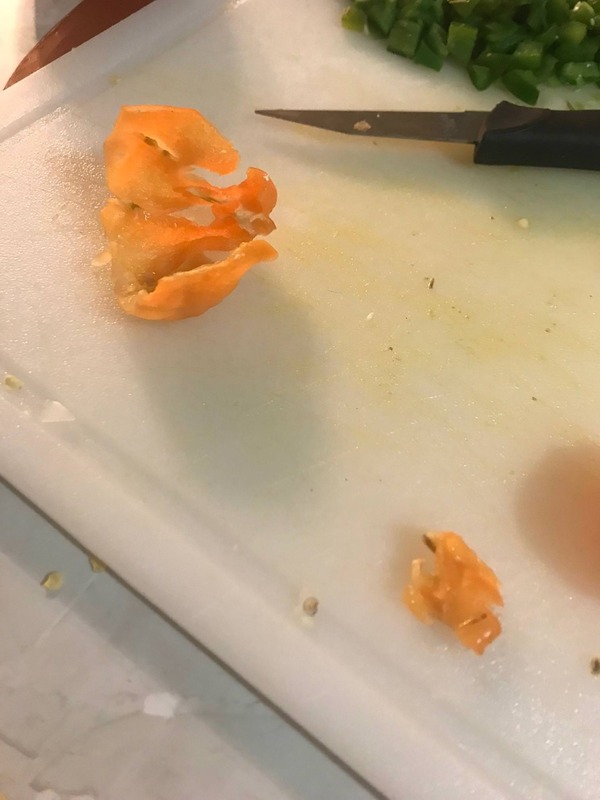 The habaneros were fresh as hell; should have used a few more to be honest. End result. Wound up throwing in a few red chilis to the one on the left for extra heat. The right side is family friendly. Things I learned: Add way more salt than you think you'd need. Using the whole orange (juice) mellowed it out a bit more than I would have thought. More habs next time; or perhaps throw in a ghost or a few scotch bonnets for oomph. Nice rocker, those look good. Zarniwoop wrote: Nice rocker, those look good. One poorly timed use of the spacebar completely changes the meaning of that catchphrase. Good call. 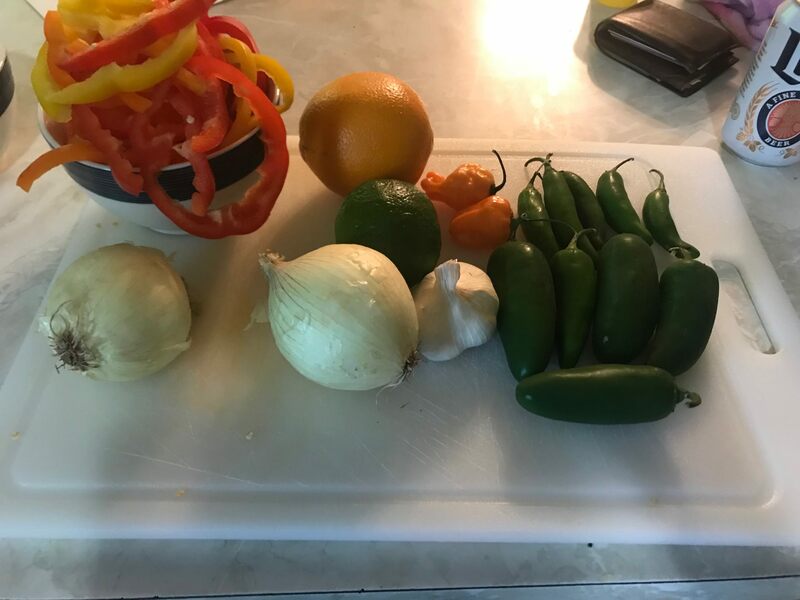 Tonight's assignment, name Rocker's sauce. Or a catchphrase for the bottle. Just had a preliminary interview for a site supervisor position. Pros: Didn't blink at my salary request, excellent healthcare, fully vested, company matched 401k day one, three weeks vacation, one week sick time, true leadership position. OK...how awesome is my city? I live in a city that isn't short of parks...in fact, one could argue we have too many (we have 31 acres of parkland per resident compared to the national average of 9). So the city has decided to take one of the parks and turn it into a sporting park. Right now, the park has a swimming area (in a lake), mountain biking and hiking paths. They are going to add indoor and outdoor shooting ranges (for pistol, shotgun and rifle) as well as an outdoor archery range. The park is also adding a BMX style course and a massive playground. They are also building an education / safety lab to help residents better understand outdoor safety (including firearms). Rocker wrote: Just had a preliminary interview for a site supervisor position. I get the travel being a con, but run it .... as a 15+ year in consulting, having free vacations (flights/ accommodations) helps. Are you sure you're not talking about square feet per person or something? There's no way acres is right. That would mean that the residents of New York City, all by themselves, and just using the average of 9, have their own park land that equates to the entirety of New York State, plus all of the rest of New England, inclusive of Maine, Vermont, New Hampshire, Massachusetts, Connecticut, and Rhode Island (give or take Rhode Island). That seems a bit much. Hell, at that rate people within the Tampa city limits own just about the entirety of Florida as their park. Is it a traveling site supervisor as in still living at home and just traveling to check up on sites, or as in going to different sites and staying there for weeks or months at a time before moving on to the next one? It would be supervising the company’s techs, as well as various subcontractors during installations. Sort of a mix of superintendent and safety regulator, was how it was described to me. Max of ten days out. Happy day for me today. My little one comes back after a 10 day trip to Ireland and Iceland with our church group. We went to the 12 Apostles today ... I can't even describe it ..
Did an attempt at duplicating the fine breakfast served at the legendary Tudor's Biscuit World this morning. Biscuits were a little wanting, but still made for a fine Appalachian breakfast. Mountaineer Buc wrote: Did an attempt at duplicating the fine breakfast served at the legendary Tudor's Biscuit World this morning. People are demanding they add a Tudor's to Fallout76. I have the only one in Florida I can run to if I get desperate in Panama City. I miss life up there, tbh. Crocaneers wrote: We went to the 12 Apostles today ... I can't even describe it ..
That is awesome, thanks for sharing!! Update: the sauce is spicier today. Yowza! Or accept the challenge that life dealt you, hope for a trip to G'ville when I am home, and enjoy the benefits of your endeavors. Today, I took it for a drive to the Blueridge Parkway to play with the sport suspension setting and paddle shifters. It has 7 speeds. I had a blast. Barely needed to use the brake. The elevation at this spot is about 3800-3900 ft.
Nice car man! The “midnight edition” looks sweet.